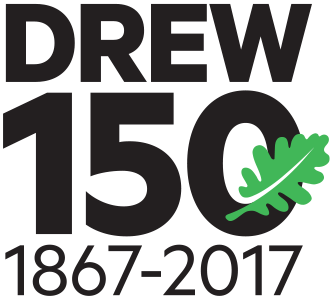 Another fall semester is upon us and I wanted to share what Drew University is celebrating as it enters its 150th year. In the past few years, the “University in The Forest” has welcomed substantially more first-year, transfer and international students, and we’re retaining them at a much higher rate. We’ve also added new majors and minors, combined degree programs and New York City semesters. Drew has experienced a 27 percent increase in incoming students over the last three years, including an increase of 50 percent in transfer students over four years. And because our new students are better matched to the great opportunities Drew offers in and out of class-in Madison, NJ and in New York City-our first-to-second-year retention has increased from 76 percent to 87 percent in four years. The school’s number of international students has grown 195 percent in four years. Drew now ranks 32nd nationwide in number of international students among liberal arts colleges, and will soon break into the top 25. Additionally, Drew just launched several new majors and minors-including media & communications, creative writing, film studies, data studies and statistics-new professional combined degree programs-in nursing, software engineering, law and teaching-and two new New York City semesters-in social entrepreneurship and theatre. Also, enrollment has increased in Drew’s graduate programs, and new programs will be rolled out during the next few years that will enable our undergraduates to move seamlessly into graduate study. The Drew Theological School-Drew’s founding institution-will introduce new curricula for several of its degrees. Drew honors the strength and growth of its last 150 years by ensuring strength and growth for its next 150 years. Please check out this informative infographic, and send along any questions or comments.